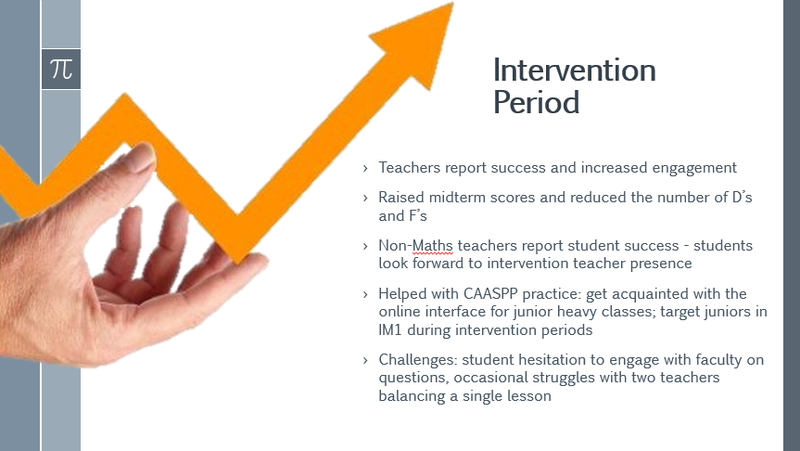 1.Identify, on aforementioned schedule, the role of the intervention teacher. 1.Again, includes location on schedule. 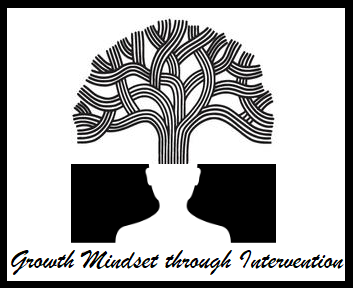 General weekly plan that pays tribute to our professional learnings, particularly the work of Jo Boaler, and the unanimous recognition that we must back-fill pre-existing and developing gaps in the areas of conceptual understanding, reasoning, calculation, etc. M: Each departmental Friday contains time to establish and fine tune content objective and success indicators for each course. T: Are students reflecting on their learning and able to identify their place (G, Y, R). If there are no Y, we need to reassess clarity of success indicators. W/Th: Students are working collaboratively and teachers are prompting, cuing and questioning, not giving answers. F: Students use feedback to address misconceptions, work collaboratively to developing understanding, and ultimately succeed on individual task. Improved grade distribution and understanding. Emphasis on learning over grading via grade weights thereby reducing internal and external pressure. Better and increased use of formative assessment practices, again, paying tribute to learning over grading. To the left is a Google Forms self-assessment we administered at various times throughout the school year. 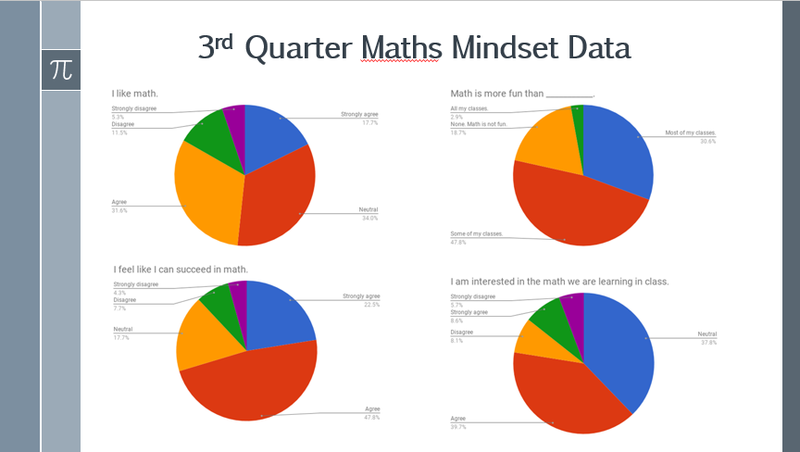 Through this we were able to garner how our students we "feeling" about maths overall, in relation to other subjects, and from the standpoint of it being a subject in which they could succeed. This survey is the truncated version as there was another that allowed students to answer the open-ended question, "Write one thing you like or dislike about having access to an extra math teacher." This enabled us to determine what was liked and disliked about the intervention model.